Join us for our 50th anniversary year AGM. Watch this space for full details of events over the weekend. 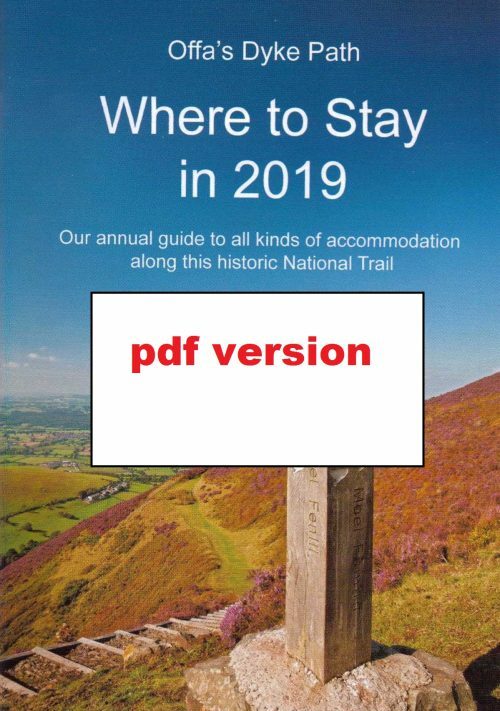 They include the official launch of the ODA’s Offa’s Dyke Path ‘Walkers Passport’ – be one of the first to get your Passport stamped at the Offa’s Dyke Centre. Proceeds from the Passport support the ODA’s Conservation Fund so the more that we sell the more conservation projects that we can support. The guest speaker after the AGM business meeting is the University of Chester’s Professor Howard Williams. Other speakers to announced. On the Sunday National Trail Officer Rob Dingle is leading a walk along the Trail (which for this stretch is next to the Dyke) from Springhill south to Knighton. Meet 9.30am at the Offa’s Dyke Centre. Transport provided but numbers are limited and tickets must be booked in advance. ESSENTIAL TO PRE-BOOK TICKETS – Depart the Offa’s Dyke Centre at 9.30am for minibus transport to Springhill. 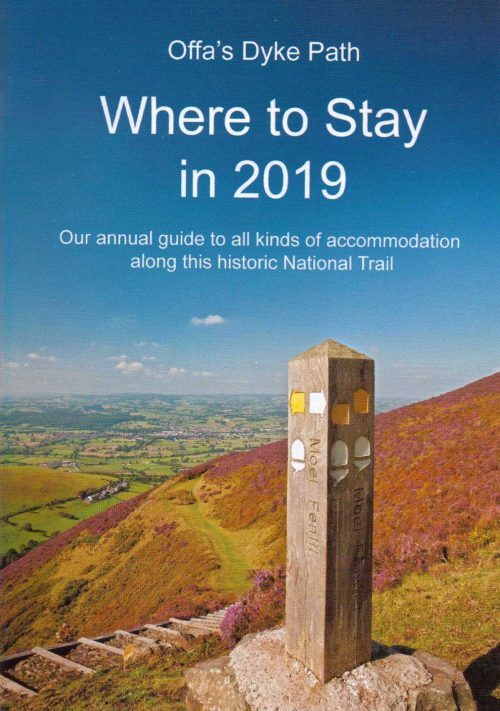 National Trail Officer Rob Dingle will then lead a walk south along the Trail, shadowing Offa’s Dyke, returning to the Offa’s Dyke Centre in time for the afternoon lectures. Transport provided by the ODA. No charge but donations invited. Is this your first section of National Trail? Then you could collect your first Passport stamp at the Centre. 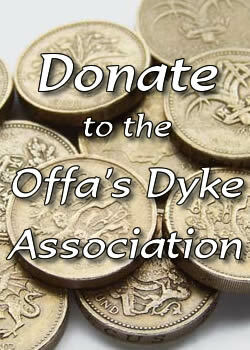 Passports cost £5 and proceeds support the ODA’s Conservation Fund for Offa’s Dyke. The magnificent peaks of the Himalaya are the greatest mountain range on earth. Breathtakingly beautiful and heart in the mouth terrifying at the same time. Surely this is no place for a fell walker with bobble hat, butties and a flask? In the slide talk ‘Himalayan Highs’ David Nightingale tells why in fact the world’s highest peaks are the perfect place for the fell walker to explore. David explains, “Weaving through the Nepal Himalaya is a spider’s web of footpaths and trails in deep valleys and over high passes. They have linked mountain communities for centuries, making living in the mountains possible – from trade and farming, to love and marriage! It’s these very same paths that give the adventurous the opportunity to discover the world’s highest mountains”. His talk, illustrated with great mountain photography, features treks and climbs of varying difficulties. It covers most aspects of trekking in Nepal, from trip planning and enjoying the chaos of Kathmandu to the joys and challenges of trekking and climbing through the varied landscapes of Nepal from lush lowland forests up to icy summits. David’s talk also explains the work of charity Community Action Nepal, which works with mountain communities building schools and health posts. David has completed eight Nepal treks and climbed seven ‘modest’ Himalayan peaks up to 6,500 metres (known as Trekking Peaks). He admits to not really having a head for heights and to feeling the effects of altitude on all his treks. David has trekked and climbed in the shadow of peaks including Everest, Kangchenjunga, Makalu and Annapurna. 4.30 pm David Nightingale David will repeat his talk presented earlier at 1.30pm. BOOKING ESSENTIAL for 6.30 pm informal social get together with cold buffet in the Offa’s Dyke Centre followed by an ‘Ancient Brits’ (founder members) heritage slide show. Tickets £7.50 including tea/coffee and cake. Please book and pay in advance by contacting the OD Centre asap & by 30th April. Order by card over the phone.